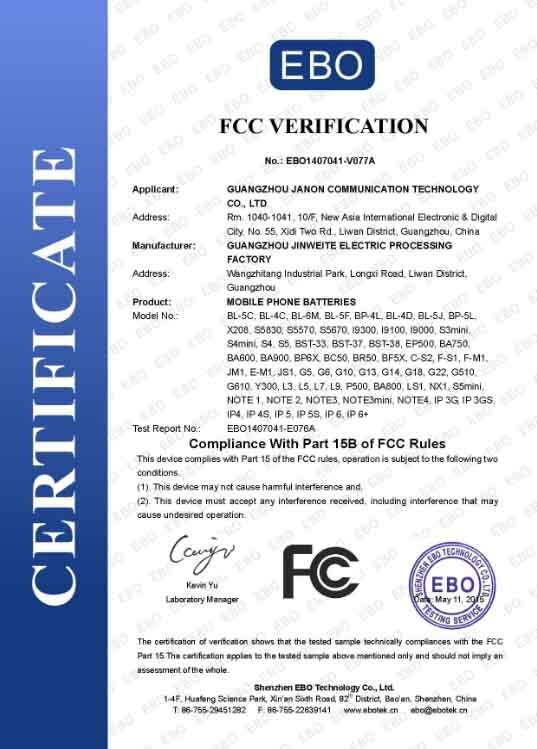 Company Overview - Guangzhou Janon Communication Technology Co., Ltd.
11YRSGuangzhou Janon Communication Technology Co., Ltd. Established in 2000, we are a professional battery manufacturer, specializing in producing Li-ion and Li-polymer batteries and battery packs. We are committed to providing high quality and value-added services. We win new customers month after month,year after year.We believe quality is the key to the business growth. That is why we only use brand cells in our batteries. We also have a stringent QC program, which keeps our product defect rate low at less than 5 percent. It's this kind of quality-focused service that leads to repeat business and an addition of three to five new customers every month. 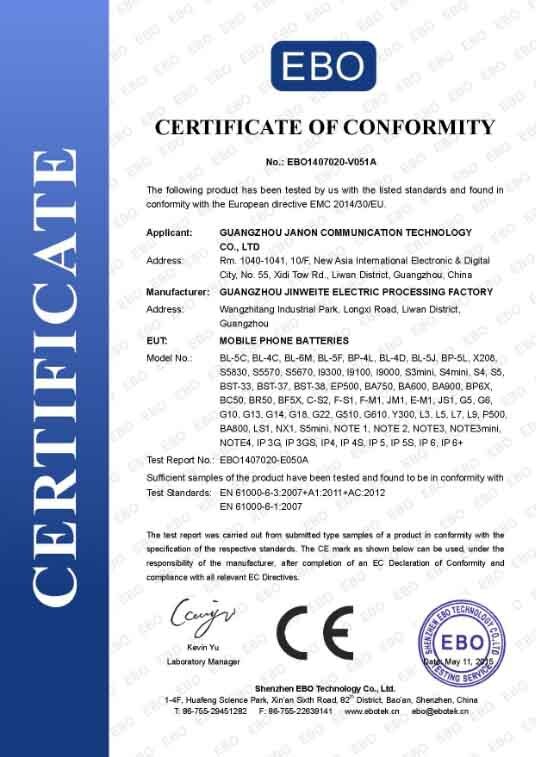 Moreover, we have built up long-term steady business relationships with some large mobile phone manufacturers in Guangzhou.Any customization exactly as what you want. When you trust and send your projects to us, you'll be working with a team of people with rich ODM/OEM project experience. You only tell us your specific ideas, and then leave the rest to us. After completing your designs, we can carry out your designs through tooling-making, and PCB layout. We adhere to the tenet of "Thinking as you; thinking of you" all the time to provide service for you.JWT is our brand. We are your one-stop supplier for all your battery needs. We are also your home in China. We look forward to serving you. 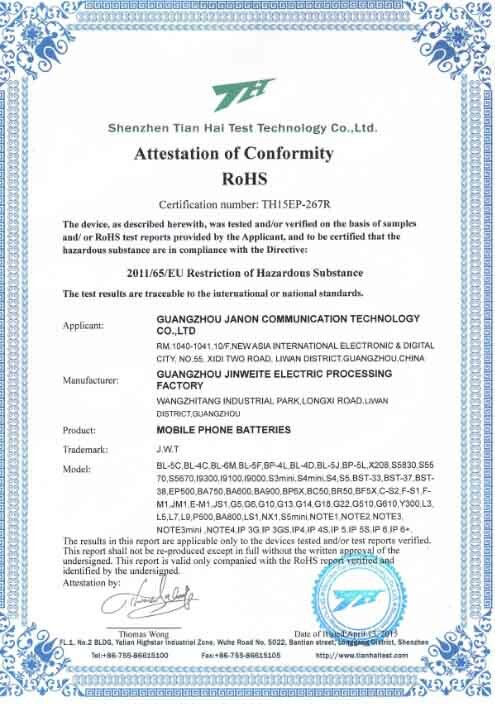 Shenzhen Tianhai Test Technology Co., Ltd.